from where you’ve always been. soft velvety lips. Color, ripe in all directions. at the end of a very long chain. himself as The Plywood Tycoon. seeing you, asked your name. what our bodies could not. Each day I take my measure. and everything else is just statistics. is a fixed way station. Each date named by a number. for blue lupines and purple iris. emerging from cool morning mist. In this last year I have recovered from a Stage 4 cancer diagnosis. During that time I drew on my thirty years of Buddhist meditation practice to lead me through treatment and into recovery. The Buddhist teaching on compassion helped me stay open to the present moment whether I was up or down. I begin my day in the dark, entering a meditation as I come fully awake. By dawn I am downstairs, lighting a candle for anyone I know who is facing challenging times. As an insomniac, I often head out the door past midnight to take in the small field and woods behind my house. Starlight, snowfall, fireflies, fox cry—the air empty and full of miracles. Ginnie Goulet Gavrin worked as a massage therapist for over thirty years. Currently she teaches meditation and writing workshops at the Monadnock Mindfulness Practice Center in Keene, New Hampshire. She holds a Master of Fine Arts degree from the Stonecoast MFA program in Creative Writing. 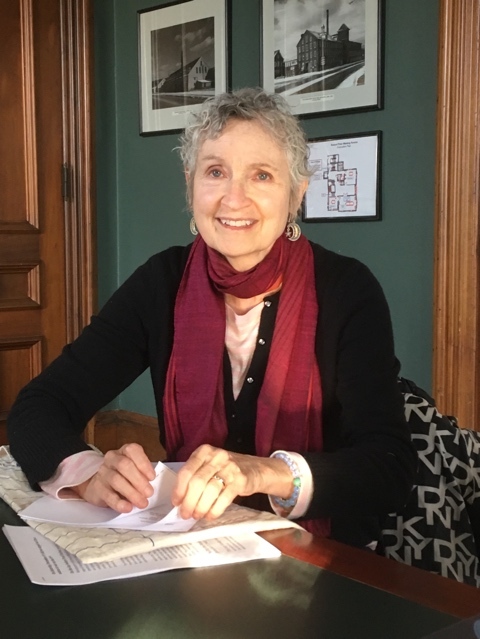 Her writing has appeared in The Literary Review, The Worcester Review, THEMA, Primavera, Slipstream, The Greensboro Review, and the anthology, Essential Love: Poems About Mother and Fathers, Daughters and Son. She is currently at work on a novel titled, Don’t Go Back to Sleep, which explores re-entering mundane life after a mystical experience that takes place at the brink of death. More on Ginnie Goulet Gavrin's work can be found on our Links page.